- Size - 12 x 12 Approx. We are the supplier of all kind and colours Mosaic Tiles. 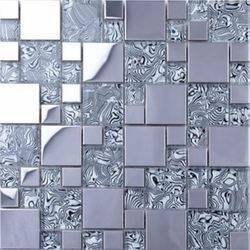 We are engaged in offering Stainless Steel Mosaic Tile. 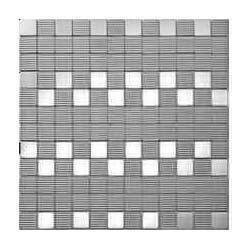 Stainless Steel Mosaic Tiles are suitable for wide range of applications. They can be used as accents or accessories for complementing tiles.